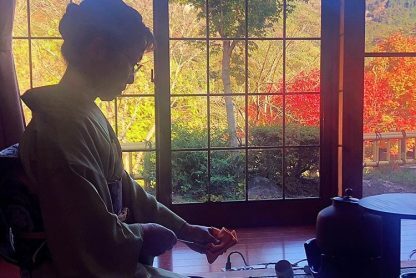 In November 2018 we launched our first Jivamukti yoga retreat in Japan and it was BRILLIANT! 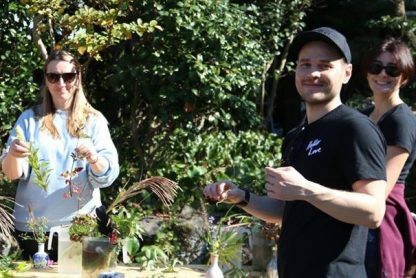 We began discussing the idea of creating yoga and meditation retreats in Japan with yoga teacher Emma Henry back in 2015. It’s taken a lot of research and plenty of patience to find the right Japan partners and finally we made it happen. 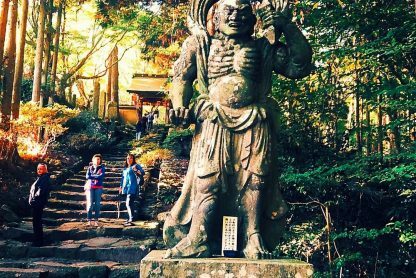 You probably already know that Japan is pretty big and there are loads of completely different regions to explore, from snowy mountains to tropical beaches and everything in between. Looks like we have many years of yoga retreats and adventures in Japan ahead of us then. Hurray! For our first retreat we chose to experience the autumn season. 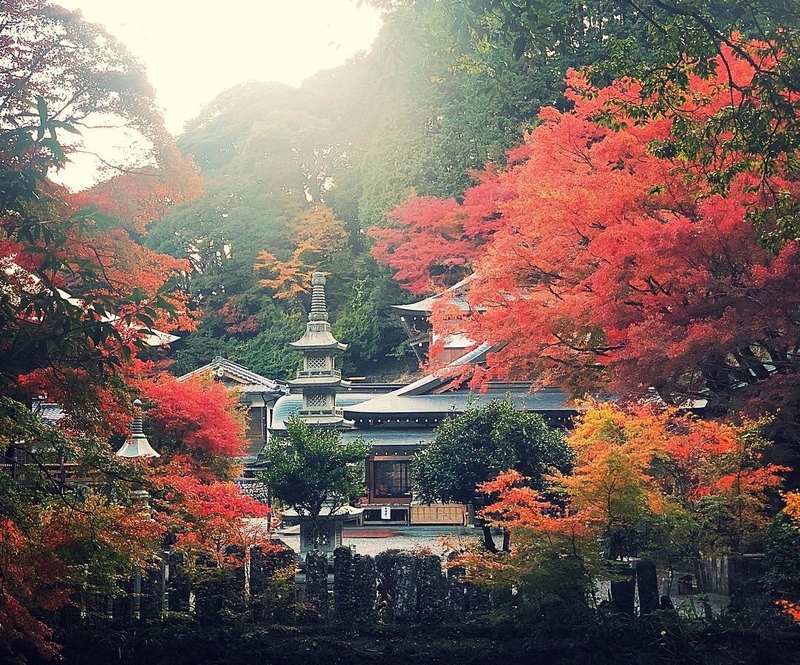 While many people visit Japan for the famous sakura cherry blossoms, autumn in Japan is equally beautiful as carefully planted temple gardens and parks display spectacularly colourful foliage and the forests turn fiery red. Gardens often feature the Japanese maple tree with its deep red leaves, surrounded by other trees with an array of yellow, orange, gold and brown leaves. Our initial retreat destination was Kyushu island where we started with a peaceful 5 days in a sweet local inn. 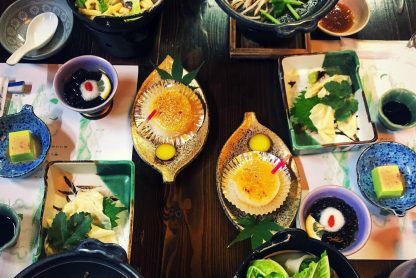 We recovered from our jetlag (which we have to admit is pretty harsh if you’ve travelled from Europe) with a winning routine of a pre-yoga soak in a very hot onsen, followed by a powerful and uplifting Jivamukti yoga class then a well earned vegan Japanese breakfast. The daily transformation of our bleary eyed guests to wide awake, joyful yogis was pretty impressive. Kyoto is a fabulous small city, packed full of temples, sake bars and tourists. 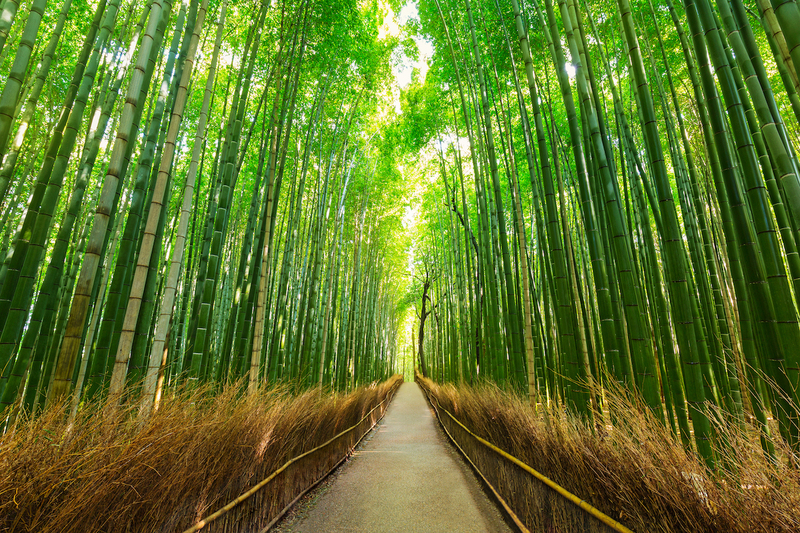 The world famous Arashiyama Bamboo Grove (shown in our top image) is actually rammed with so many tourists you can’t even get down the path! BUT there are plenty of other quieter places to explore too. 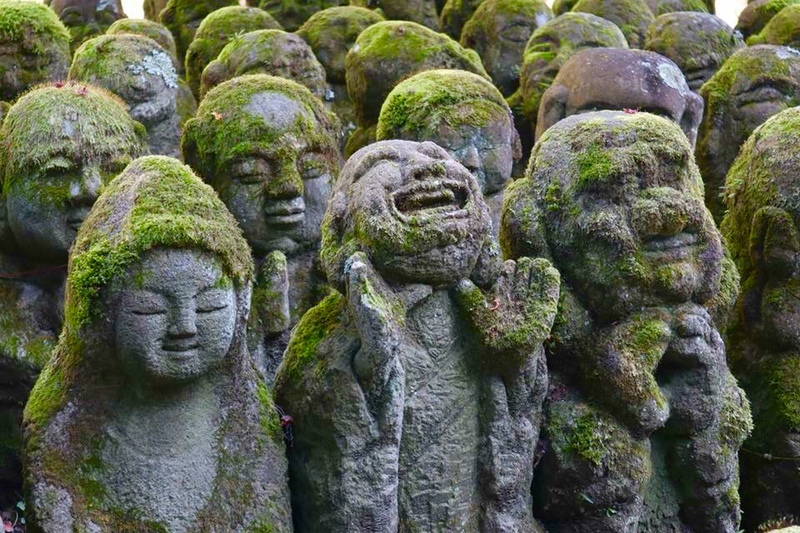 We loved the fairytale like Kokedera Moss Temple and the Buddhist temple Otagi Nenbutsu-Ji. It has over 1,200 stone figures or rakan, each with a distinctive personality and facial expression. 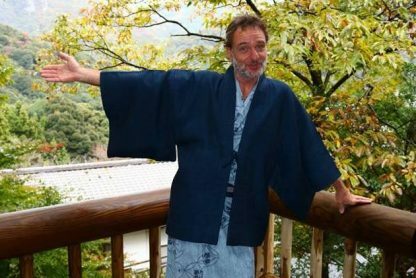 One of our group wrote about Kyoto for The Cultured Traveller – there are plenty of great tips here. 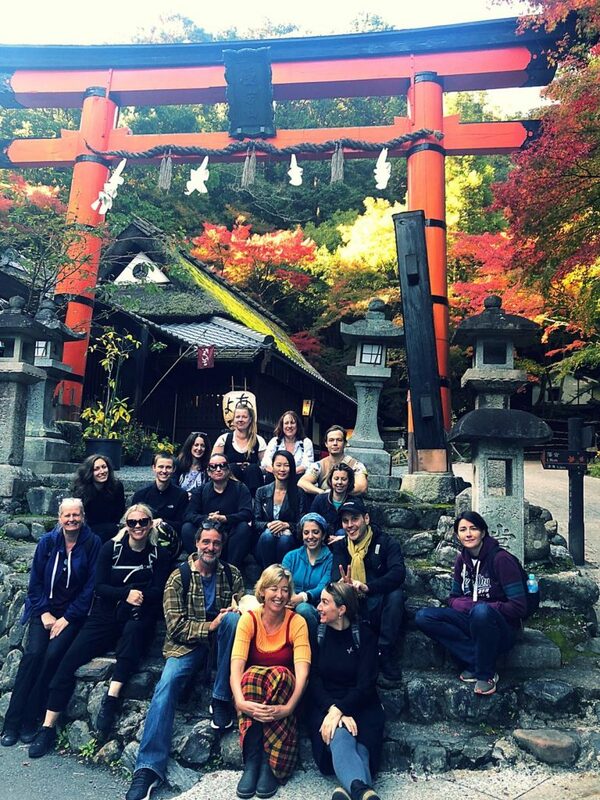 Our first Japan retreat was over too fast and we were very sad to say goodbye to our Japan retreat yogi pioneers – a gorgeous group of 16 lovely souls from all over the globe who dived into everything with good grace and much laughter. With early mornings, jet lag, plenty of yoga and lots of exploring it was a pretty busy retreat but we loved every minute. More Jivamukti in Japan please! As you can probably tell we have completely fallen in love with Japan, so we are excited to be going back in May 2019 for a completely different yoga retreat up in the mountains of Nagano. We have created a forest bathing and Jivamukti yoga retreat (we will be writing more about forest bathing soon). 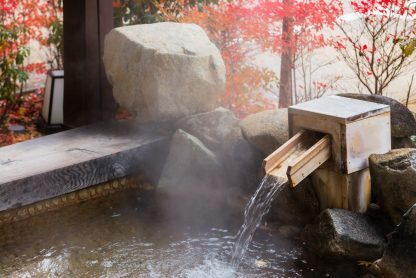 This retreat is sold out but if you would like to be on the wait list or receive an early invite for our next Japan adventure, please sign up for our enews or send send us an email. We close with huge and heartfelt gratitude to our brilliant Japan yoga group (pictured below) and to Felicity who eloquently sums up our retreat. Thanks also to Karyn, Emma and Claire for sharing your images. “The November Japan trip was amazing. A fascinating country, fantastic yoga and beautifully organised. Emma is the best yoga teacher I know. It takes a special person who can fly across half the world, turn up in an unfamiliar yoga space and create such a warm and welcoming atmosphere where everyone can get deep into the yoga and challenge themselves. Needless to say she did this and the yoga was the best ever.